We managed to speak to artist Tom Mead as he created work on 8 foot boards in the wooded area of the festival. 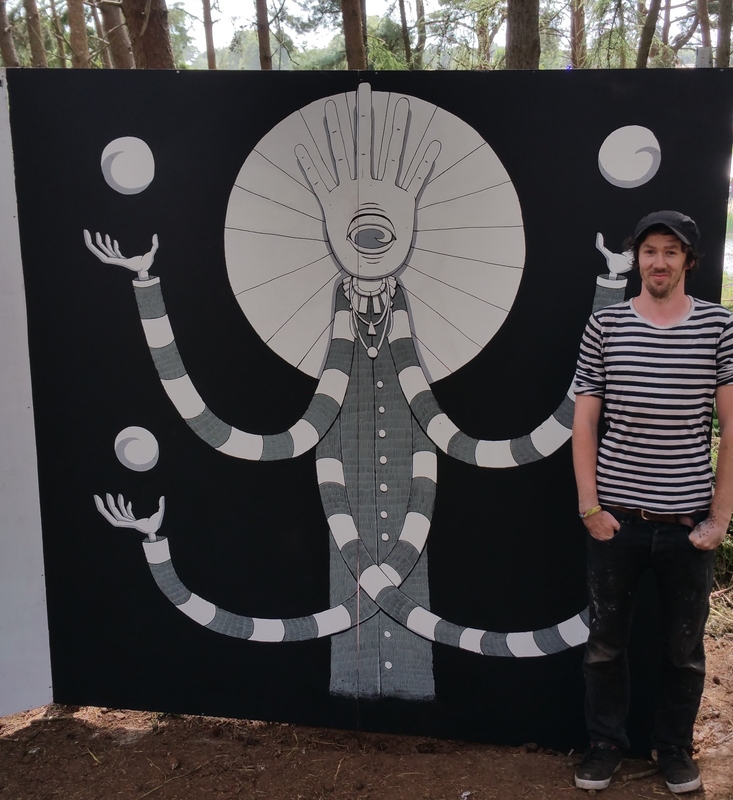 The Bristol artist was at Latitude for the very first time and was working alongside a number of artists taking part in the Lavish Live Art display. Known under the professional name of Mr Mead, Tom’s influences include dark imagery from traditional folk lore. New characters were created for the weekend and he told us more about his work and future plans. To listen to the interview with Tom, click below.